WordPress is probably the best solution to this, due to the sheer volume of free themes available in today’s web landscape. A WordPress photography theme is great place to showcase your photography work on the web. As of today, the leading wordpress design companies and authors are focusing on WordPress photography themes due to the huge demand. In this article, we have collected 17 amazing free photography WordPress themes. You can easy get started building your own online photography or photo blog. We have included portfolio based creative themes as well as themes developed specifically for photography and photographers. Hopefully you will find a Photography WordPress Theme to build a Photography Website. If you like our art collection, so check out these other posts will interest you too: Free WordPress Widgets for Gateway, Free Scrollbar Plugin for WordPress, Premium Carousel WordPress Themes and Best Color Palette Generator for 2014. Pictorico is a single-column, grid-based portfolio theme with large featured images and a post slider, perfect for photoblogging or a portfolio site. This theme includes one navigation menu in the header. By default it will display your Pages. Illustratr is a minimalist portfolio theme that helps you create a strong – yet beautiful – online presence. Primarily crafted for designers and photographers, it is a simple, powerful, and flexible theme. Photum is a theme to use with WordPress that will turn your site into a clean portfolio that you can use to show off your photos. Sidespied is an elegant portfolio theme geared to showcasing creativity. Whether you’re a painter, sculptor, photographer, videomaker, or want to shine a spotlight on another type of original work, Sidespied puts your projects in the forefront. 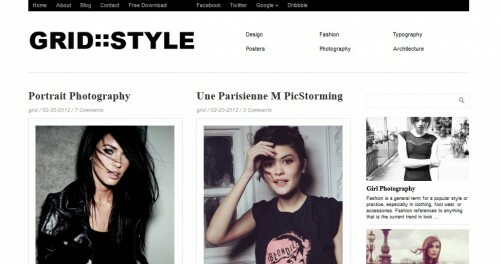 Grid Style Free WordPress Theme with a magazine based layout. Design to showcase your fashion style portfolio. This theme was inspired by the fashion industry stylish design. Espied is a portfolio theme for designers, photographers, and artists. It’s great for showing off your image-oriented projects to the world. The theme’s minimalist design puts the focus on your projects. This simple and elegant WordPress template is great solution for photography portfolio blog. Collage, like our other themes, comes with Shared Bar that will help your visitors to share your blog with their friends. Visual is a dark, elegant take on the traditional portfolio theme, perfect for showcasing your photography, art, or general interests. Digifoto is the perfect way to display your showcase in a fun, engaging way that won’t distract your visitors from your work. Spun is a minimalist theme that puts the emphasis on your content; extraneous navigation fades away to put your words and images front and center. Whether you’re a writer, photographer, or personal blogger, Spun‘s beautiful typography and responsive design showcase your creativity with subtle elegance. 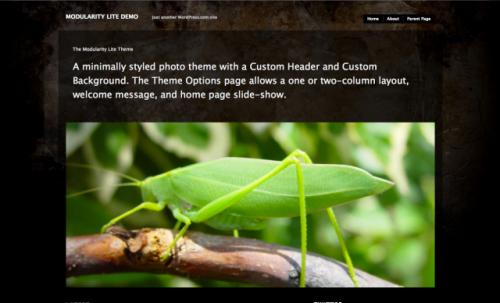 Modularity Lite is a minimally styled photo theme with a Custom Header and Custom Background. Even though it’s minimally styled, the built-in grunge background and dark color give it a bit of edge. AutoFocus is an elegant, minimal theme designed for artists, photographers, and other creatives seeking a simple but beautiful way to showcase their talents online. Suburbia is a unique magazine theme in a minimalistic style. By activating this theme, you can easily transform your blog into a cool, attractive online magazine. 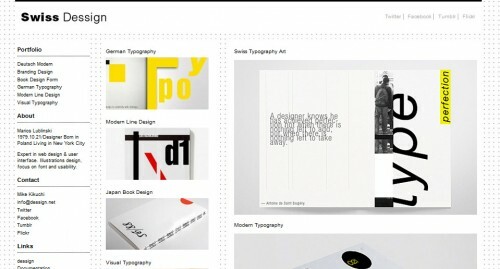 Swiss WordPress Theme was inspire by the minimal and modern style of the Swiss designers. Triton Lite is a clean and simple – yet versatile – theme designed with photographers in mind. Its home page and archive pages offer truly dynamic layouts that snap to both the heights and widths of all available content on a page.